Most comments from HootSuite users are about feature requests, road map (and how lovable owls are). This is why we’ve created HootSuite Feedback — a special place for fans of our beloved social media dashboard. Submit feature requests, talk with fellow users, and speculate about the future. 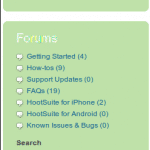 More than just a forum, HootSuite Feedback is a place where you can vote on features, suggestions, and miscellaneous discussions. Similar to Digg, there is a button beside each topic that our fans can “vote up”. If we see an idea that is particularly popular, don’t be surprised if we include it in future versions. So grab a coffee, start sharing ideas — and remember: we’re listening. We’ve streamlined HootSuite Help services to better serve you. We’ve re-created our help pages to resolve your issues quicker. 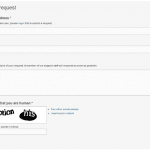 HootSuite Help’s emphasis is on indexing easy-to-find answers to most of your questions. As a result, we encourage you to help yourself. HootSuite is a free service and we are gaining more users. Hence, it is not always easy to answer every email in a timely fashion. Before creating a service request, be sure to check our newly created base of knowledge to see if there’s a solution to your problems. Still, we acknowledge not every issue is documented, so please send us a Support Request if there is no article addressing your problem. Our Help Team is always happy to help you! 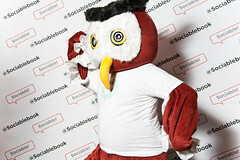 HootSuite keeps adding more social networks to the social media dashboard and we hang out there too. Find us on Twitter, Facebook, LinkedIn, Flickr and MySpace. With our presence on these channels, we often love to chat and connect. Hence, HootSuite Engage – our new initiative to well… engage with you. Post on our walls, share your thoughts, and get to know us. Wherever you may be, we want you to know you got a friend with HootSuite. With that said, all feedback, suggestions, and feature requests posted on social networks will now be directed to HootSuite Feedback. 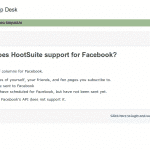 Likewise, support questions will be directed to HootSuite Help. HootSuite is nothing without a great product and a passionate group of users. With this in mind, we work hard to continually improve the product while also making sure we help people get started, learn more tricks, and figure out problems. Like other companies, the questions we hear the most are ones we try to pro-actively answer. To make this convenient for you, we’ve assembled a library of how-tos and FAQs which will solve 90% of inquires we hear through all support channels. The rest may require further help, but now there’s a full-functional support request system to better help you. Additionally, there is a cadre of consultants, evangelists and savvy users who write tips, tricks and tutorials on their blogs. We’ll do our best to share those with others as well as producing White Papers and Case Studies to help artists, businesses and organizations learn how to Hoot more effectively. We want everyone to enjoy their HootSuite experience — and we work diligently to make this happen — thanks for coming along.